Type:14 Colors Eyeshadow Palette. 1pc Eyeshadow Palette. Feature:A richly Colors,fine and smooth powder,longlasting,easy to create a variety of styles of eye makeup. -Due to the different display and different light, the picture may not reflect the actual color of the item. 16 Colors eyeshadow powder to choose. 1 x Eyeshadow Palette. Item Type: Eyeshadow. Function: Eyeshadow Makeup. High quality material, no harm and irritation to your eye skin. 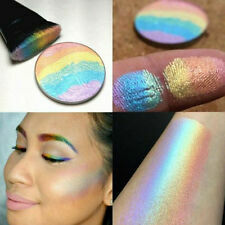 Exquisite glittering powder,easy to apply. Beauty guru and entrepreneur Huda Kattan blends her makeup expertise and with her debut Huda Beauty Eyeshadow Palette - Rose Gold Edition. Instantly bring light and warmth to your look with Huda’s go-to palette. Limited edition, Huda Beauty Textured Shadows Palette: Rose Gold Edition. This richly toned palette features 18 versatile shades that can be layered in infinite ways to create a vast array of looks with just one palette. 16 Colors eyeshadow powder to choose. 1 x Eyeshadow Palette. Function: Eyeshadow Makeup. Item Type: Eyeshadow. High quality material, no harm and irritation to your eye skin. 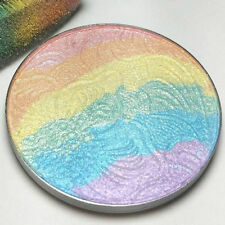 Exquisite glittering powder,easy to apply. Feature:A richly Colors,fine and smooth powder,longlasting,easy to create a variety of styles of eye makeup. Type:14 Colors Eyeshadow Palette. 1pc Eyeshadow Palette. 9 Colors eyeshadow powder to choose. 1 x Eyeshadow Palette. Function: Eyeshadow Makeup. Item Type: Eyeshadow. High quality material, no harm and irritation to your eye skin. 16 Colors eyeshadow powder to choose. 1 x Eyeshadow Palette. Item Type: Eyeshadow. Function: Eyeshadow Makeup. High quality material, no harm and irritation to your eye skin. Color displayed in photos may be showing slightly different from the real object. Eyeshadow Palette. Type: Eyeshadow Palette& Makeup Brush. - Compatible with any type of foundation, BB cream, powder, blush, eyeshadow etc. 1 x Eyeshadow Palette. - 10 different shape brushes, easy to creat smoky/ intense/ classic/ natural look etc. Nice lovely 63 colours eyeshadow kit. neutral and smoky dramatic can freely apply to this eye shadow makeup kit. 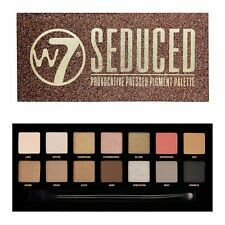 Popular eyeshadow palette: Suit for different occasions, like casual, salon, party, wedding, etc. 16 Colors Eyeshadow Palette makes your eyes look natural and colorful. 1 16 Colors Eyeshadow Palette. Can create smoke color, brings you perfect makeup experiences. Color: 16 Colors/Palette (As pictures show). 35 Colors Eyeshadow Palette makes your eyes look natural and colorful. 1 35 Colors Eyeshadow Palette. Help create smoke color, brings you perfect makeup experiences. Color: 35 Colors/Palette (As pictures show). Delicate powder makes it easy to daub evenly. 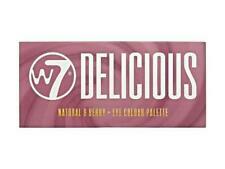 It is a dynamic eyeshadow palette with 15 shades. This richly toned palette features 15 versatile shades that can be layered in infinite ways to create a vast array of looks with just one palette. Combine with 24 colors eyeshadow palette, 3 colors blush palette, 2 colors face concealer powder palette and makeup brushes. - Easy to stick powder, natural color, rendering uniform.Soft hair will easy to make a perfect look whatever you want. Eyeshadow Palette. Type: Eyeshadow Palette& Makeup Brush. 3 x Eyeshadow Palette Set. - Prefect for professional smoky eyes makeup, wedding makeup, party makeup or casual makeup. - Easy to stick powder, natural color, rendering uniform.Soft hair will easy to make a perfect look whatever you want.